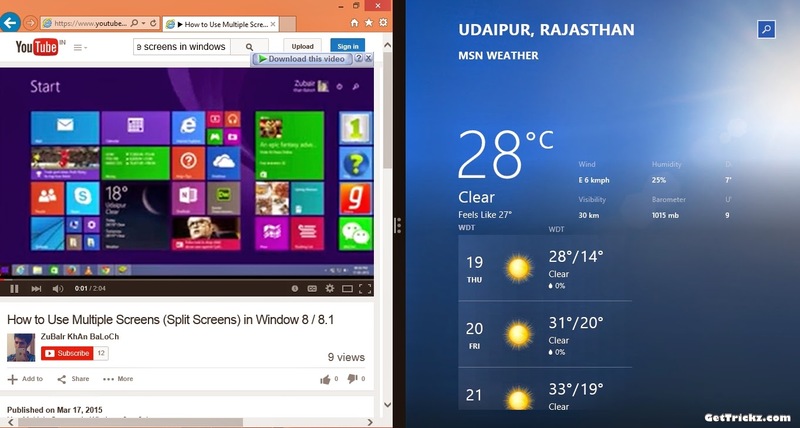 There is so many software available for make multiple screen in windows but, Today i will show you how to use this feature without any software in Windows 8 and 8.1.Its very simple and easy way to do this.This Feature make's your work easy and you will do both work same time like One side Watch a video on YouTube and also surfing Facebook and Twitter on other Side. More Videos To Come Share Subscribe And Like. Very nice Post Thanks, you also can get all information about shopping, hotels in Udaipur City. We are really impress with your work from Udaipur India.